Expressions sweep in, different voices, different places. I walk along in my heels, in silence, with occasional complains. Within words come in torrents. Voices in my head, images, smiles and scowls. I watch him walking away, after his “I love you,” apparently he wanted to say a last good bye. I wonder what he wanted. Whispers, and wonders of insanity over months, tantrums I would throw, walked away from. I see the texts, the mails, the moments of frustration and holding onto sanity by a thread that float in front me with images, letters, and sounds. Blocked out, moved on from yet still resurface to haunt. We pass a beggar with a dog, you turn to your usual analysis, wonder why beggars have dogs, “They are expensive to keep,” you say. I had not realised the man was a beggar. (Attention diverted, focused on heels while suffering on cobbled roads.) I ignore him, you tell him”Sorry.” I hear you, being your gentlemanly self, and like you more for it. Words, images, sounds. Gushing in, faces of familiarity, voices of annoyance, frustration, and general conversation. Crowds rushing through my mind, brain waves clashing with you sticking out: flowers, candles and my fair lady moments, with an occasional laugh from you at some idiocy I would have uttered in my half sleep, and exhaustion. 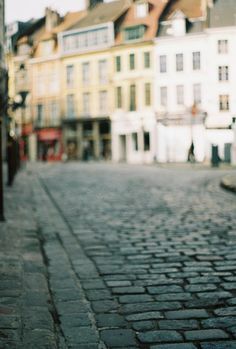 I think of moments, us, cobbled roads and chilly evenings, and block the noises and the rest outside. For a moment.